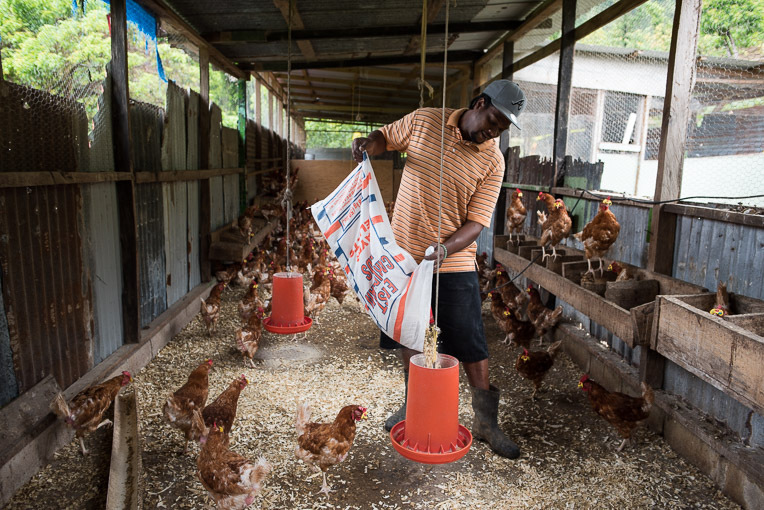 HURRICANE MARIA LEFT THE ISLAND OF DOMINICA BARELY ABLE TO FEED ITSELF—UNTIL SAMARITAN’S PURSE HELPED PUT CHICKEN FARMERS AND FISHERMEN BACK ON THEIR FEET. When Hurricane Maria thrashed Dominica last year, its ferocious winds damaged 90 percent of the houses on the island. Thousands were completely destroyed. But the storm—the first Category 5 hurricane on record to strike the Caribbean island—didn’t just obliterate houses. It also ravaged entire industries, upending people’s ability to make a living and provide for their families. 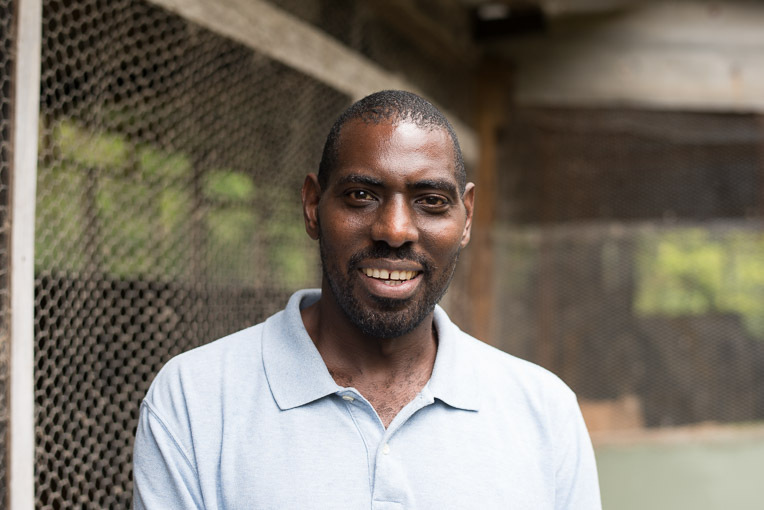 Vincent has been a poultry farmer on Dominica for about 18 years. The vast majority of poultry farmers lost their chicken shelters—and most of their birds. 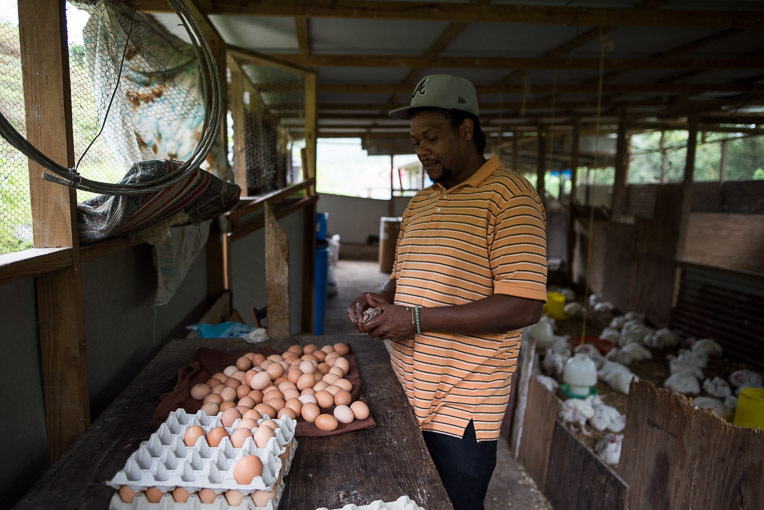 In fact, this is the first time in over 40 years the island hasn’t exported eggs—they’re having to import them instead. At the same time, because refrigeration systems were damaged in the hurricane, fishermen couldn’t keep their large catches cool, so they spoiled. And, for many horticulture farmers, their entire crops were wiped out and their greenhouses were destroyed. Across Dominica, not only is Samaritan’s Purse coming alongside homeowners and repairing roofs and in some cases completely rebuilding their houses, we’re also enabling people to get back on their feet and rebuild their livelihoods. Vincent Younis is one of them. He’s been a poultry farmer since 2000. Samaritan’s Purse helped replace Vincent Younis’ chickens and restocked his feed. The roof and siding blew off the chicken house. Everything inside was wet. Almost 400 birds lay dead. Vincent’s spirits were lifted when he came in contact with Samaritan’s Purse through the Dominica Poultry Association. We provided him with a voucher to replace his chickens and restock his feed. In addition, we repaired his chicken coop to hurricane-resistant standards. Michael McIntyre is member of the Dominica Poultry Association and Ministry of Agriculture. In the coming months, Samaritan’s Purse will also be repairing greenhouses and installing drip irrigation for horticulture farmers.  We’ll also be distributing seeds and tools to farmers and vulnerable families. And we haven’t forgotten local fisheries. We’re looking to repair damaged fishing cooperative buildings and boat sheds, replace storage equipment at cooperatives for refrigeration of fish and provide vulnerable vendors with supplies for the processing and sale of fish in local markets. At every opportunity, our staff look for ways to build relationships with each person we serve—praying with them pointing them toward Jesus Christ.